What if there was an all-natural cold remedy and daily immune booster that really worked? Tired of juggling 5-10 different vitamins and supplements of questionable quality, wasting time and money trying to get over a stubborn cold? The natural all-in-one targeted approach to boosting your body's natural immune response. We’ve taken high-quality research-backed vitamins and botanical extracts and combined them into one easy-to-take supplement. Dr. Schnuffie's COLD + FLU takes all the guess work out of getting back on your feet and feeling great again. Take Dr. Schnuffie's COLD + FLU and be the healthy one in the crowd. The all natural ultra high potency vitamin-herbal approach to getting healthy and staying healthy. Highest quality natural ingredients for maximum absorption and effectiveness. Keeps you and your family healthy, fights off sickness, and quickly takes the edge off nasty colds and the flu. Uses time-honored high-potency herbal extracts, vitamins, and minerals. Renowned New England physician has used this safe, high-potency natural formula with hundreds of patients for many years. In strict adherence to the FDA’s Current Good Manufacturing Practices (CGMP) for Dietary Supplements. • Carefully selected all-natural ingredients that team up for maximum benefit. • Physician’s formula targets a handful of premium ingredients —everything you need in one tablet. • Higher dosages for higher potency — more than any other cold and flu supplement out there. • Addresses underlying causes, not just symptoms. Won’t leave you feeling medicated. After watching thousands of his patients struggle to find a simple, natural way to stay healthy in his renowned New England practice, Dr. Inglis set out to create a proven, effective daily vitamin that eliminates the need to take a handful of pills each morning. 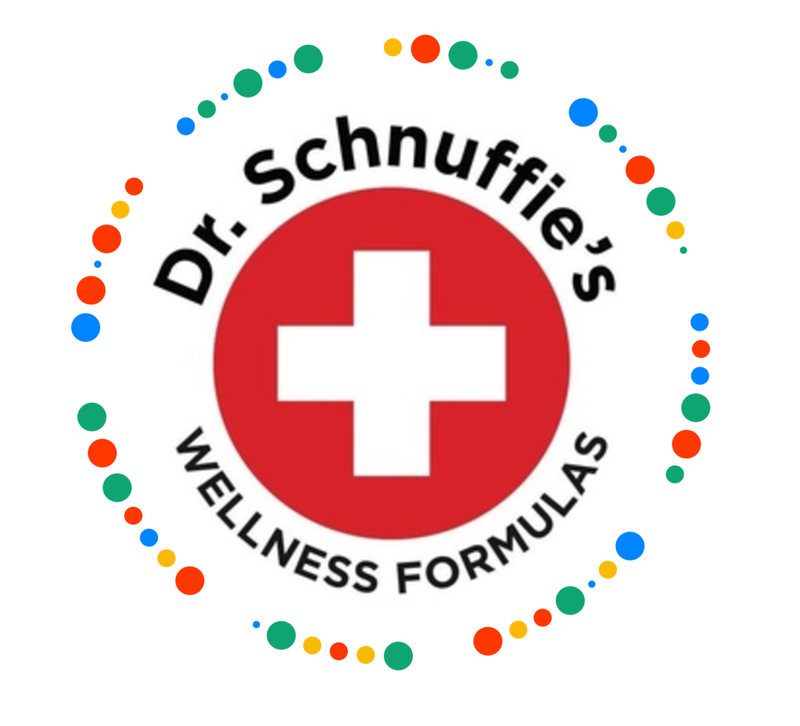 Every ingredient in Dr. Schnuffie's has been tested, researched and carefully vetted to make sure your body gets everything it needs and nothing it doesn't. Unlike the other supplements on the market, Dr. Schnuffie's targets the root cause of sicknesses instead of just treating symptoms. Dr. Inglis spent years crafting the perfect blend of high-potency vitamins and herbal extracts to keep you healthy and happy.